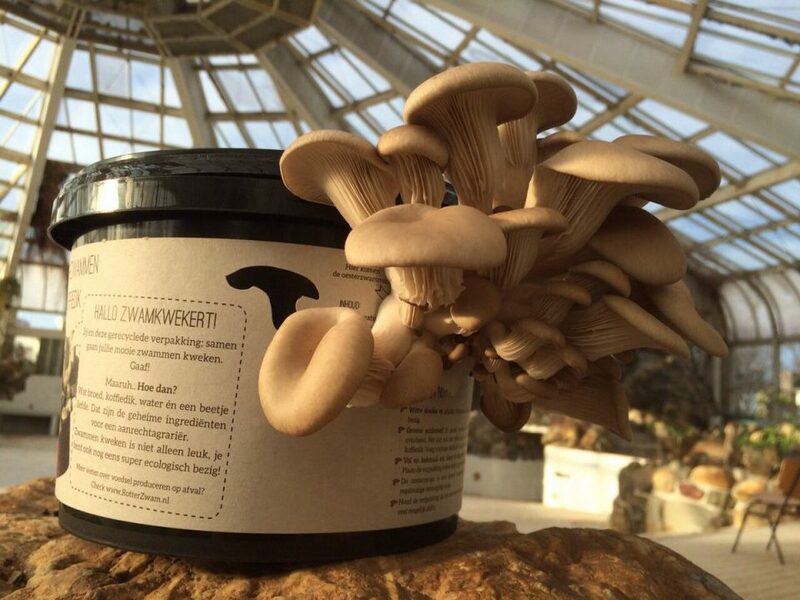 Bags of old coffee grounds hang in the dank dressing rooms of an abandoned Rotterdam water park, growing oyster mushrooms. Two men turned the former Tropicana space, an old teen hangout, into the perfect damp, dim environment for their business, making use of the structure while the city council decides what to do with it. ‘RotterZwam’ rents the building on an anti-squat lease and have transformed it into a fascinating example of adaptive reuse and urban farming. Tropicana is fairly infamous among Rotterdam locals, but closed after the former owner went bankrupt in 2010. The space had been plagued with problems, from hygiene to sexual assault. 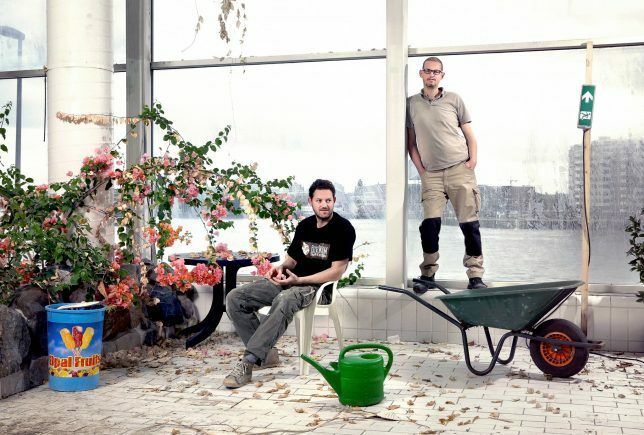 It sat empty until Siemen Cox and mark Slegers, RotteZwam’s owners, realized it looked like a giant greenhouse. 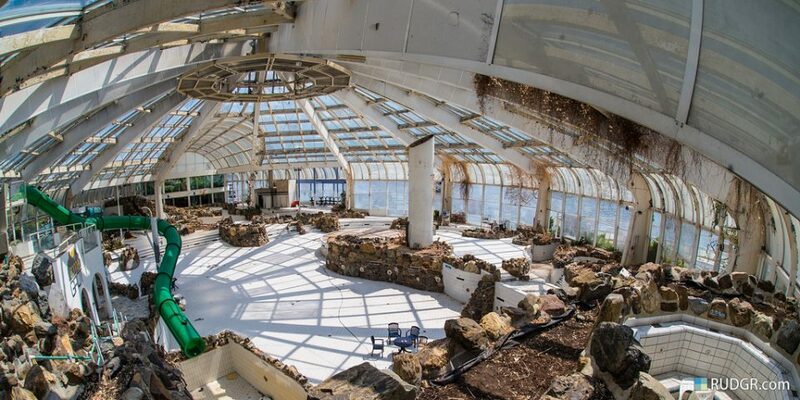 Though they hope that central glassed-in space – formerly the pool – will eventually become a greenhouse, for now, they’re making use of the dressing rooms and basement, which offer ideal conditions for fungal growth. 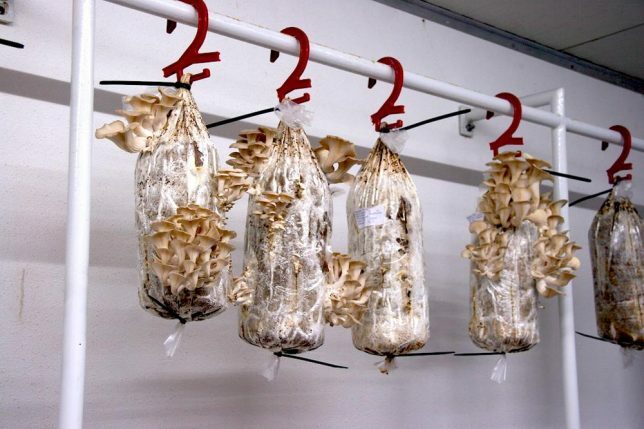 The crew hangs bags of coffee grinds from the old Tropicana clothes hangers, and before long, they sprout oyster mushrooms. They collect the coffee from local cafes, transport it in their carrier bicycle, and give the compost to worms to create an extremely low-waste operation. The produce about 20-50kg of mushrooms every week, and sell it to local restaurants, bakeries and food trucks. They also offer DIY mushroom-growing kits.